Make a big and bold statement with this stately piece of jewelry. 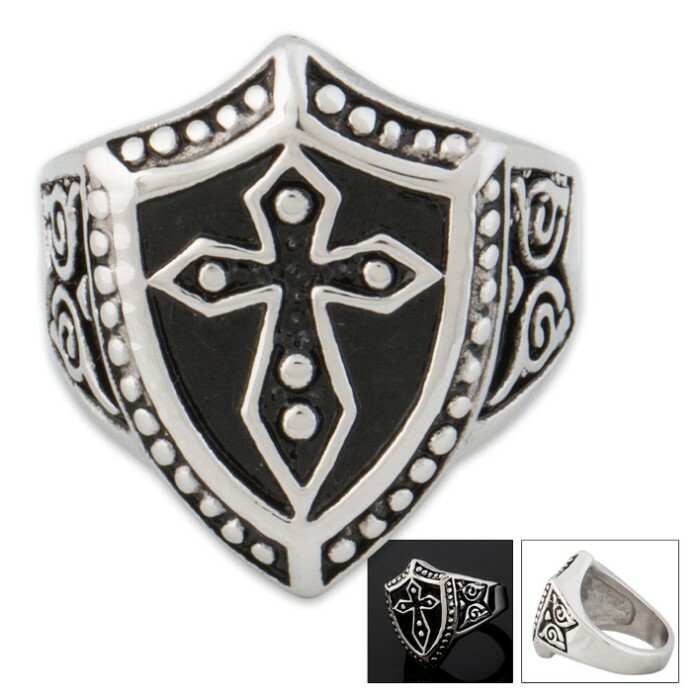 The intricately carved details are what really make this ring stand out as an elegant tribute to the Christian faith. It is crafted of stainless steel so it is definitely rust-resistant. 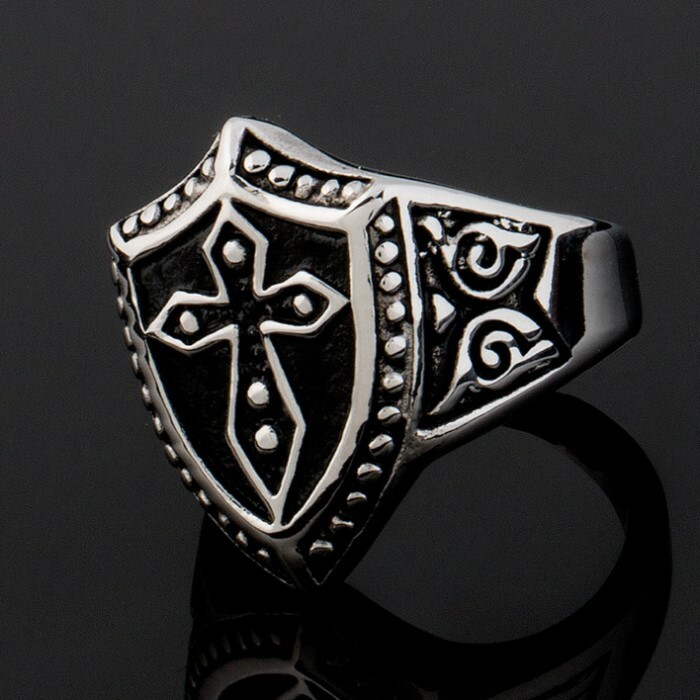 The design has as its centerpiece a traditional cross set off against a black background. 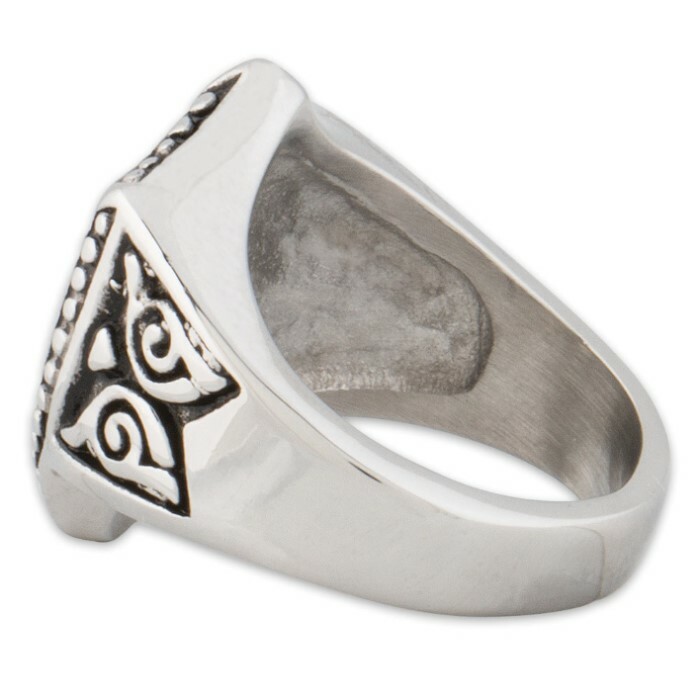 The design extends to the sides of the ring. It comes in sizes 8, 9, 10, and 11.